Light brown colors of fallen autumn leaves with dew water drops inspire modern interior decorating ideas for fall, offering crystal glass home decor accessories, soft upholstery fabrics and luxurious textiles, modern wallpaper and floor rugs in golden and light brown colors with a touch of black, white cream or gray tones for modern room decor in fall. 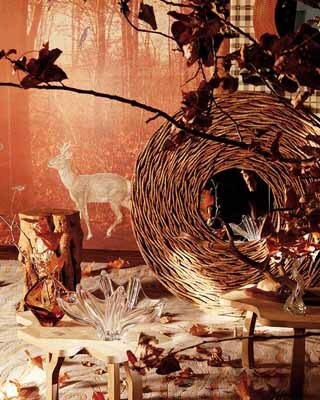 Soft luxurious natural fabrics in comfortable light brown colors, deep orange colored glass and crystal clear vases offer the opportunity to capture the beautiful falling leaves and create impressive and unique interior decorating ideas for fall. 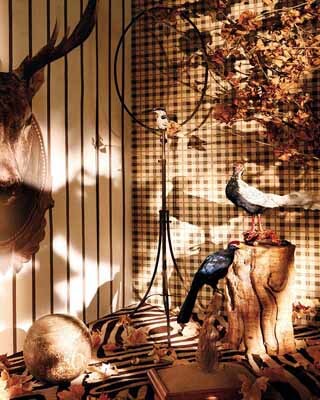 Chic upholstery fabrics and textiles, wooden furniture and wool area rugs for floor decor, stuffed birds and hunting trophies add unusual and impressive accents too fall decorating ideas. 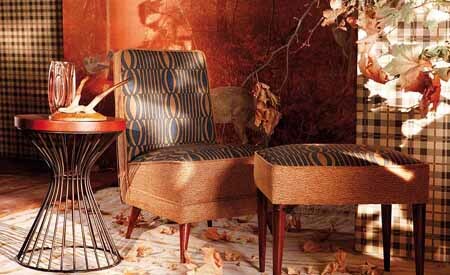 Watching how trees shed all their leaves during the autumn and rain drops shine on fallen leaves inspire interior decorators to used relaxing, comfortable and pleasant light brown colors, luxurious textiles and decorative fabrics, made of natural materials for cozy and welcoming fall decorating ideas. 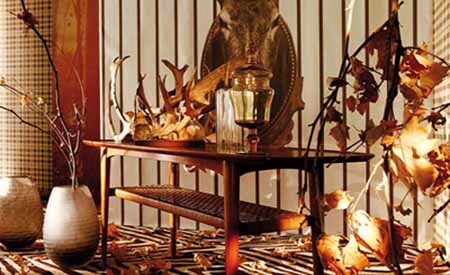 Crystal clear glass home decor accessories brighten up neutral interior decorating ideas in fall, bringing more light and interest into modern room decor. Sparkling glass and silver gray color combination reminds of a chill in the air and tiny water drops on fallen autumn leaves, adding elegance and chic to fall decorating ideas and filling home interiors with unique fall flavor. 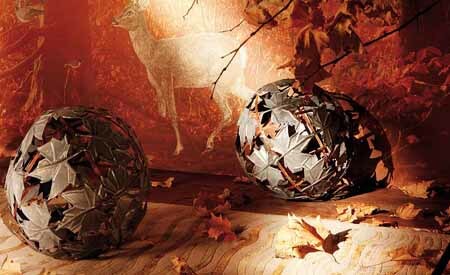 Bright fall leaf colors are transforming, fallen leaves are turning brown and gray, and bringing gray and light brown colors into fall home decor. Dark orange, deep golden and dark brown colors are excellent choices for fall decorations that help shift interior decorating colors from summer color palette to quiet and cozy fall colors. 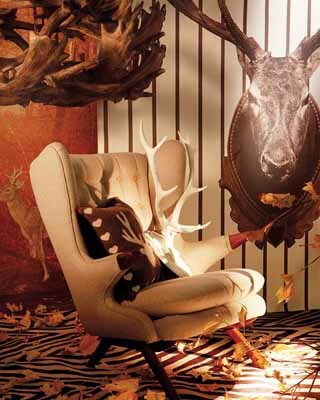 Fall decorating is a great opportunity to add natural items, hunting trophies, nature inspired room decor accessories and fall decorations, – leaves and candles centerpieces, fall flowers, pine cones, miniature pumpkins, dried corn, chestnuts, acorns and tree branches. Silk and wool room decor accessories in elegant gray and light brown colors , – floor rugs, cushions and throws, – add warmth and coziness to fall decorating ideas, offering stylish and peaceful decorating color palette for fall decor. Making the most of your fireplace, dressed with gorgeous leaves and candles, compliment fall decorating ideas, adding soft light to room decor and creating relaxing atmosphere. 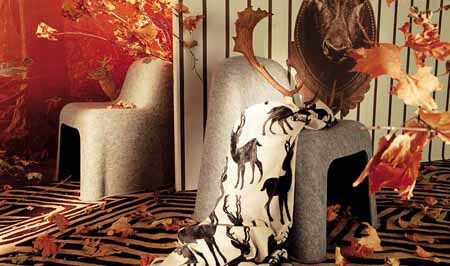 Chic interior decorating ideas for fall are inspiring and comfortable. 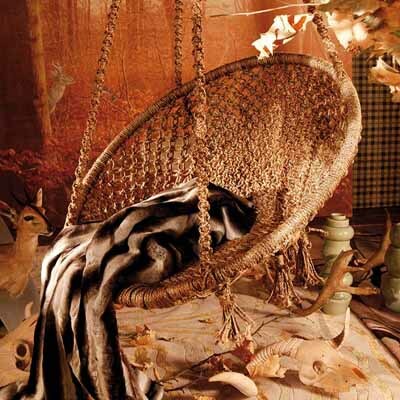 Fine details and luxurious wool or eco friendly felt in soft white, elegant gray and light brown colors, natural materials and soft decorative fabrics textures, comfortable color combinations and unusual fall decorations, sculptured cont dramatically transform interior design with beautiful fall decor accessories. 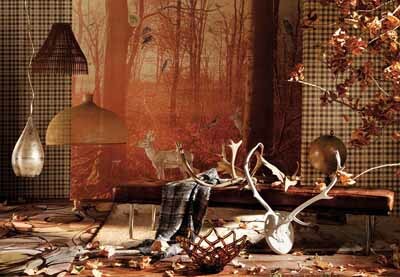 Inspired by light brown colors of autumn forest, beautiful light designs, stylish fur and decorative fabrics, exotic materials and luxurious interior decorating ideas for fall are presented by Spanish Style magazine.